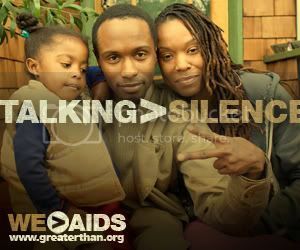 The HIV/AIDS epidemic has had a disproportionate impact on Black women, youth, and gay and bisexual men. Analysis of national household survey data found that 2% of Blacks in the U.S. were HIV positive, higher than any other group. Although Black teens (ages 13–19) represent only 15% of U.S. teenagers, they account for 68% of new AIDS cases reported among teens in 2007. A similar impact can be seen among Black children. Black women account for the largest share of new HIV infections among women (61% in 2006) and the incidence rate among Black women is nearly 15 times the rate among white women. UPDATED: In related news, the National Minority AIDS Council Honors World AIDS Day with a Special Website Video Raising Awareness about the Continued Impact of HIV/AIDS in the U.S. Via Press Release: Washington, DC – The National Minority AIDS Council (NMAC) is honoring World AIDS Day (WAD) this December 1 with a special message on its website’s home page, www.NMAC.org, about the continued impact of HIV/AIDS epidemic domestically. The video features public officials, educators, activists, community organizers and other leaders discussing how we must come together as a nation to address the HIV/AIDS epidemic head on in this country. The video also takes visitors to the site’s comprehensive list of events (http://tinyurl.com/NMAC-WAD) being held nationwide in honor of WAD. Ravinia Hayes-Cozier, NMAC’s Director of Government Relations and Public Policy, who introduces the video, says “This year’s World AIDS Day theme, 'Universal Access and Human Rights', is particularly timely in light of the nationwide conversation taking place around the formation of a National HIV/AIDS Strategy and the future of health care overall. To that end, NMAC launched the Historically Black Colleges and Universities (HBCU) HIV/AIDS Peer Education Initiative, which will train HBCU students on how to get involved and educate one another about HIV/AIDS, at the September 25th “An Evening Without Politics: A Benefit Reception” (EWP) held during the Congressional Black Caucus Foundation Annual Legislative Conference. Many of the interviews featured in the special video report on NMAC.org were shot during the EWP. Featured speakers include: Jim Brown, Football Legend, Actor, Activist; G.K. Butterfield, Congressman (D-North Carolina); James Clyburn, Congressman, House Majority Whip (D-South Carolina); Danny Davis, Congressman (D-Illinois); Gregory W. Edwards, Executive Director, Flowers Heritage Foundation; Debra Fraser-Howze, Vice President of External Affairs, Orasure Technologies; Vincent Gray, Washington, DC City Council Chair; Barbara Lee, Congresswoman (D-California); Sheryl Lee Ralph, Actress and Activist; Julianne Malveaux, President, Bennett College; Dr. Marsh Martin, Get Screened Oakland; Darian “Big Tigger” Morgan, Television and Radio Personality; Julianne Scofield, Executive Director, National Alliance of State and Territorial Directors; Maxine Waters, Congresswoman (D-California); and Beverly Watts Davis, Senior Advisor to the Administrator, SAMHSA Officer of the Administrator.